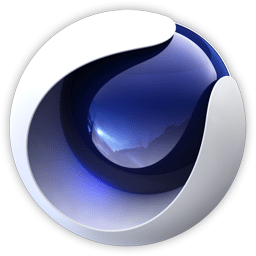 Maxon CINEMA 4D – leading 3D motion graphics, visual effects, painting, and rendering software. 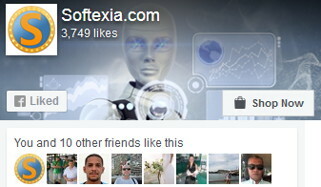 The software enables digital content creators around the world to produce highly engaging content quickly and easily. It makes that for a variety of industries with all character tools, integrated stereographic capabilities, stream-lined multi-artist collaboration and physical rendering. Maxon Cinema 4D contains all functions needed to create high-end 3D images and animations – start the application and start working, it’s that easy. For those whose work demands more than the basic application, MAXON provides numerous modules that can be integrated seamlessly. CINEMA 4D Studio is the very best that MAXON has to offer for professional 3D artists. As well as containing all of the features found in CINEMA 4D Prime, Visualize and Broadcast, CINEMA 4D Studio adds advanced character tools, hair, a physics engine and an unlimited clients network for rendering. The result is that Maxon CINEMA 4D Studio can tackle any project you throw at it with ease. Despite being designed for advanced 3D, the extra tools found in CINEMA 4D Studio are still designed to be user-friendly and intuitive. Generating advanced 3D effects such as hair is surprisingly easy and fast, with Maxon CINEMA 4D doing much of the work for you. For example, hair will automatically swoosh and sway as you move your character around; and making thousands of objects collide with each other only takes a few mouse clicks to set up. Import and export a variety of file formats, which lets you integrate it in almost any pipeline. The modeling toolset lets you work with parametric or polygonal objects, subsivision surfaces and all kinds of deformers and modifiers. The non-linear modeling lets you modify parametric objects at anytime and is lightweight and fast. Available all standard and advanced options for creating the perfect surface for your models. Materials have 14 different channels and you can even customize channels for specific needs (e.g. game engines). Use images or movies as textures or advanced shaders such als Subsurface Scattering or Backlight. This software offers an industry-standard 3D painting toolset for high-end texturing. When it comes to animation, CINEMA 4D Studio is a Jack of all trades. Of course it features all the standard animation tool you would expect from a high-end 3D package. But this Studio has so much more to offer: an advanced character animation toolset, all-new rigid and soft body dynamics, cloth simulation, event-based particle system, cloners and effectors and even natural Hair that waves in the wind. CINEMA 4D Studio offers a wide variety of light and shadow types that can brighten up even the most challenging situations. And the render engine takes control of all available processor cores to get high-quality results as quickly as possible. But the Studio version offers tons of advanced lighting tools that go even further. IES lights for real life light distribution, global illumination for indirect lighting, a physical sky simulation to light outdoor scenes realistically and much more. Configure the program layout and you can create your own scripts or plugins. Available in several languages, including English, German, French, Spanish, and more.